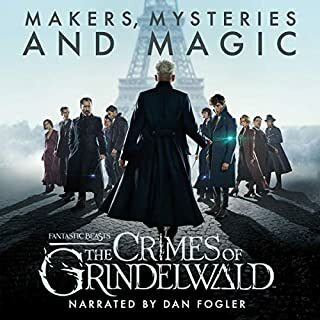 Jim Dale is, in my opinion, one of the finest narrators you'll ever listen to. over 100 hours of performance and Jim Dale was incredibly consistent with every single characters voice. it was amazing and made for such cohesion. I was blown away. Of course the story itself was phenomenal. This was everything I wanted in a Harry Potter audiobook. I had the best time being immersed in the Wizarding World again. Still waiting for my letter! 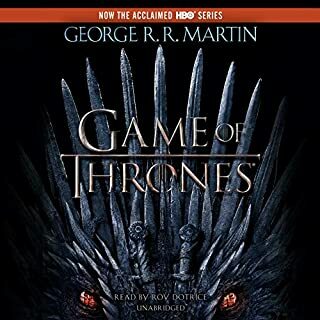 amazing book, amazing series!!! the harry potter series id the best and will always be the best for me! A good narrator makes a difference! The whole HP series was pleasant and easy to listen to. Jim Dale’s brilliant narration is what HP deserved. Great experience on your own or as a family - people of all ages will enjoy...wizards and muggles alike! Jim Dale is amazing and his Voldemort is chilling. My kids love this series. Thank you! I love Jim Dale as narrator, and obviously I love Harry Potter. this collection is my favourite to listen too, and I have relistened many times over. I found both the story and the reader thoroughly enjoyable. I would recommend all the books in this series. 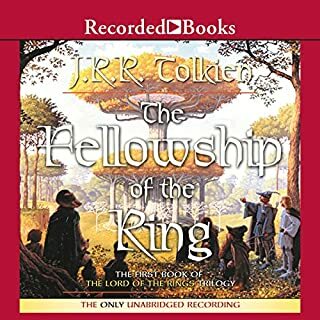 I have to admit I always wondered what the big deal was about this series; although I saw some of the movies years ago and enjoyed them, I never read the books. 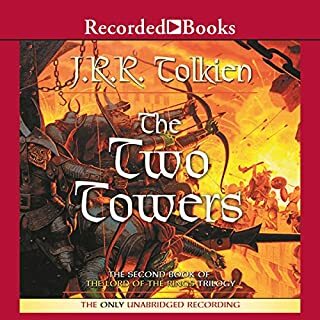 When they became available on Kindle/Audible however I ordered the first book for my 8 y.o. daughter thinking she’d like to listen to it. 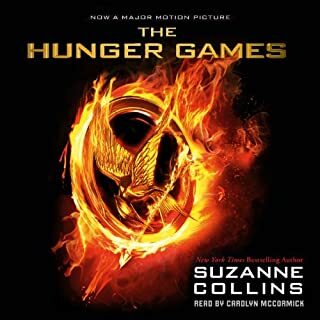 Then I thought I’d try it out and see if I liked it myself; I was a little hesitant having already seen the movie and worried that listening to the book might be repetitive. But, I learned quickly that I was SO WRONG. There is SO much more detail, storyline, insight and humor, amongst many other things, woven into the pages that of course you don’t see on a DVD. 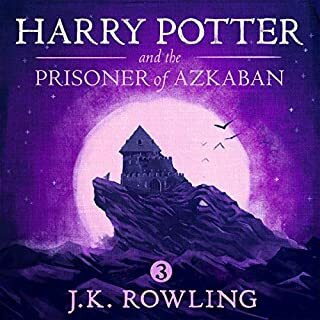 I ended up listening to all 7 of the audiobooks in just under 2 months, and I finished Deathly Hallows about 4 days ago and I feel SO EMPTY! Lol! There is nothing else that will measure up/compare to this series or its writer. 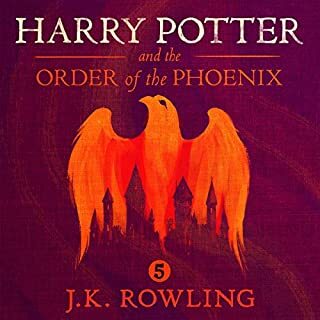 I am going to start on JK Rowling’s ‘adult’ books next I think, but I have half a mind to re-listen to my favorite Harry Potter books first, even this soon after finishing them, which I’ve NEVER done. 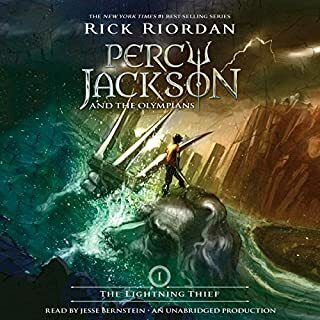 I love the characters, the effortless way the story builds throughout all 7 books and I love the fact that something that might have happened in book 2 or 3 might be referenced in later books. I also loved the “real” way that certain things that weren’t obvious in the beginning of the series (i.e. whom Harry ends up with) develop in a way that feels completely natural and of course like that was meant to happen all along. Nothing in any of the HP books feels forced or conveniently created to serve a plotline that otherwise might be struggling. 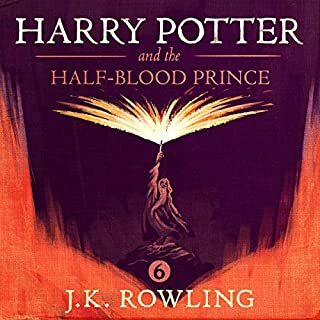 Despite its theme of witchcraft and wizardry Harry Potter seems very human and even relatable at times, thanks to the genius woman who created him, especially when it comes to his relationship with his closest friends. I think that’s why it’s so hard to leave them behind. 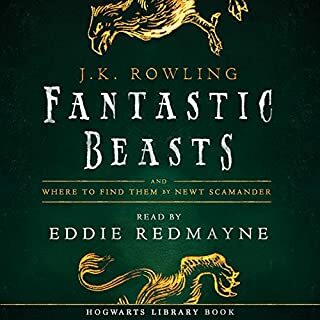 Oh and yes, I agree with many other reviewers that Jim Dale was the one and only narrator who could've brought this story to life in the amazing way that he did. So many characters, so many distinct voices, and he nailed them all in a way that I found myself comparing HIS version to the movie versions and, in many cases, finding I preferred Jim's. Not only would I, I've already given away dozens of copies as gifts to friends and family. 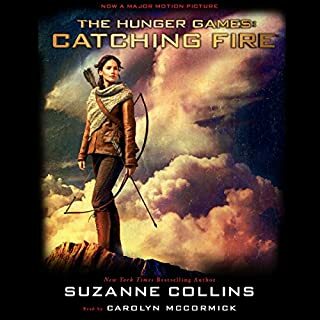 This is the only literary series ever written that keeps the quality of the writing high and getting better in each volume, right up to the very last word, while not forgetting or dropping or bungling a single minor character or secondary plot line.This is the book that grabs the reader by the heart and twists, as young people are forced to strike out on their own to save the world from unspeakable evil. More than once, all appears lost, and Harry and the reader think things can't possibly get any worse....until help arrives at the last second, from the most unlikely of sources!! 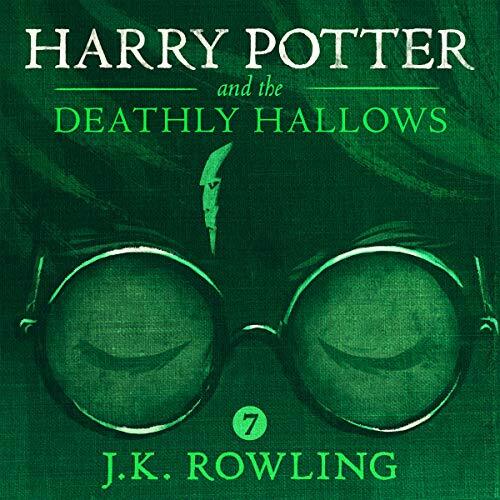 What was one of the most memorable moments of Harry Potter and the Deathly Hallows, Book 7? The Battle of Hogwarts; Ginny's kiss; Harry's parents' reappearance; Harry's ultimate sacrifice; the shocking revelations about Severus Snape that turn everything Harry and the reader thought they knew about him upside down; the riveting scene in which all seems lost until so many unlikely combatants (including centaurs, house-elves, hippogriffs, and giants (including Hagrid's brother) join the fray....and of course the brilliant series epilogue, Nineteen Years Later, which all by itself is easily worth the cost of the book. This is Mr. Dale's magnum opus, in which he is able to brilliantly portray not just characters of all ages and both genders, but characters of all sorts who are not even human! He deserves worldwide acclaim for unparalleled narration of this or any series. This is a breathtaking achievement. Absolutely, and I almost did, taking time off of school and work to listen, and stopping literally only to sleep! 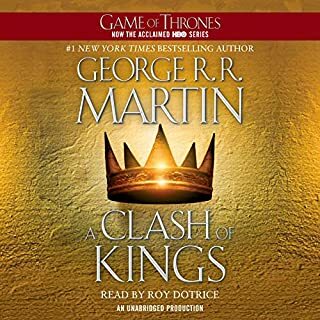 !This is the best novel you'll read this year; despite the fact that it is the series finale, it also easily stands alone and is a fully adult novel. 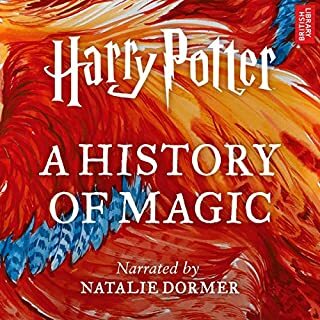 Though I snapped up and immediately listened to the whole series, this is the only review I'm doing of Harry Potter as it's where Rowling and Dale's true genius shines forth. "The Deathly Hallows" ties everything, and I mean everything together in such a brilliant way. From the incredible awe and enchantment of the very first book, through all of them, and here to the masterful and mature finish, skill flourishes like a magic quill on a scroll of parchment. Let's see. 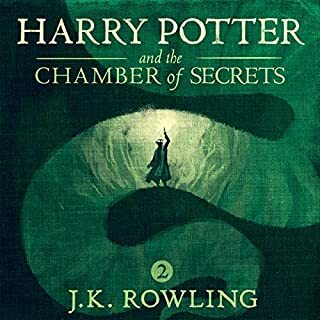 How about the polyjuice potion that was so delightful in "The Chamber of Secrets" that becomes commonplace then part of a daring plan to rob Gringott's in "The Deathly Hallows"? House elves introduced early who become keys to solving the mysterious "R.B" of a locket/Horcrux? Dementors that crippled Harry early on who become used a watchdogs? And let's start with dragons: from the birth of Norbert in the first book, to being a part of a challenge in the Tri-Wizard Tournament, to becoming part of an ingenious escape from the bowels of the earth. See how it all works? Why it's genius? Rowling, in each book, manages to plant early clues, foreshadow all that will be important, to great effect. But that she managed, no, excelled in shading things from each book to this grand finale is mind-blowing. And through it all, each character grew and matured. She even had the guts to have Harry turn into a snarling teenager in "The Order of the Phoenix" and brought him through that to become the fairly wise young man he winds up as. "The Deathly Hallows" has it all. Plus, it has Jim Dale narrating perfectly. How he managed to make each character distinct throughout, to breathe so much life into each written word is beyond me, but boy do I appreciate it. 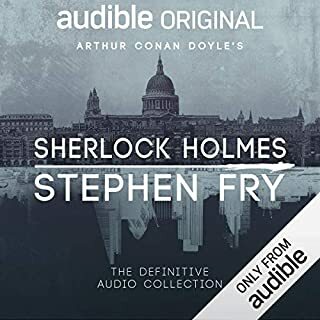 He was a real treat to listen to with perfect pacing, even tho' I wound up listening at 1.25 speed because I just can't handle delayed gratification: I wanted to hear Harry's story NOW (even though I've read each book, like, a million times!). Story: The action, suspense, danger, adventure and magic you find in this book is extraordinary. 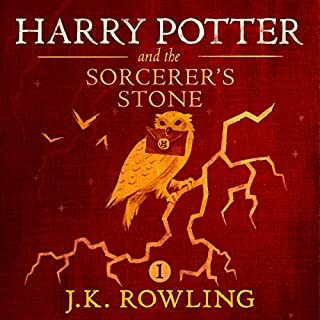 J.K. Rowling did a wonderful job of pulling a number of pieces together to wrap up the story. The book explains so much more than could be squeezed into the movie and it really illuminates a number of things that did not make sense to me just from the movie. Classic example of how the book is significantly better. 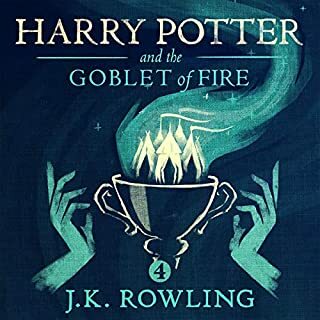 I feel most people will have similar feelings, but the story and connection between Harry, Dumbledore and Snape really makes this book amazing. Also, the detail on the Deathly Hallows and the relationship to Harry was awesome. Narration: I caved and gave this 5 stars. I still feel that some of the female voices are lacking and, for me, are less than stellar. Luna and Ginny come to mind. That said, overall, the narration is great and very engaging. Jim Dale was able to bring the characters to life and really pulled me into the story. Overall: Harry Potter and the Deathly Hallows is a fantastic end to the series. I knew that this would be different from the movie (again, having never read/listened to all of the books until now), but I had no clue how in the dark I was from just seeing the movies. So much was explained so well. My mind was also blown when I learned about the more than probable relationship between Harry and the Peverell family. Seriously, this series is amazing! If you have not already done so, listen to this series! Jim Dale, best narrator on the planet. Different voices for each character, brilliant. So easy to visualize each one's personality. What can I say, Harry Potter is the best! Jim Dale is the most talented narrator and makes the books come to life even more so than the movies. This whole series never gets old to me. I always have it on while I'm running around the house. 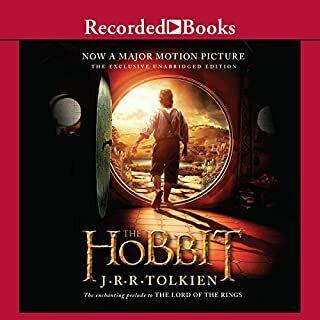 The narrator gives a truly magical performance. He is truly amazing! Incredible last installment to a great adventure! Once it got rolling, you simply couldn't stop listening. Started off full of doubt and worry, but the story arc was perfect in the end! J M Rolling brings it all together in this crescendo of a novel that brilliantly ties up every loose end and story arch from her previous novels. The battles, from heroic frenzied war scenes to inward moral dilemmas bring us insights anew into our most beloved fictional friends and hated literary enemies. Impressive, supremely satisfying , and absolutely her best work yet. jim dale is a wonderful listen. his emence chatacter profile can be enjoyed again and again and again. of course the HP series is monumental for my generation so no need to review for that. 5 stars for me.